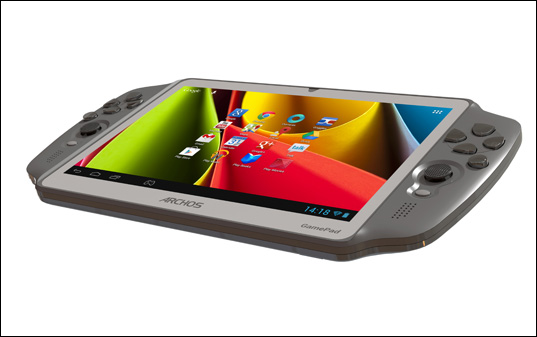 Back in August, Archos announced its then-upcoming GamePad, a tablet which looks to "revolutionize" gaming on Android. Featuring built-in physical game controls and custom button mapping software, the GamePad removes the need for touch controls, giving mobile gaming a more console-like feel, while its 7" display still keeps it portable enough to toss in your bag and take on-the-go. And now, it's finally available. At this time, there's no official word on North American pricing, but we'll keep you posted as soon as more information becomes available. 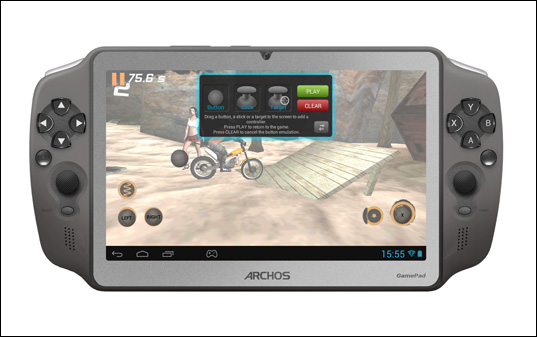 DENVER--(BUSINESS WIRE)--ARCHOS, announces the retail availability of the highly anticipated GamePad, a new type of tablet that combines physical gaming button controls and an ARCHOS patented mapping tool with a full AndroidTM-powered tablet experience. Bringing physical buttons and analog thumb-sticks to mobile gaming, the ARCHOS GamePad blends power with unique mapping software that allows you to link the virtual controls of any game to physical controls. A thin and light Android 4.1 Jelly Bean device, the GamePad also features full access to Google PlayTM and Google Mobile Services and is now available in Europe for 149.99€ with a North American release scheduled for early Q1 2013. By combining the GamePad’s 14 physical buttons and dual analog thumb-sticks with the revolutionary ARCHOS game mapping tool (exclusive to ARCHOS), the GamePad brings the physical aspect back to the gaming experience. Adding to the experience is the 16-million-color, seven-inch, five-point capacitive, 1024 x 600 pixel screen. 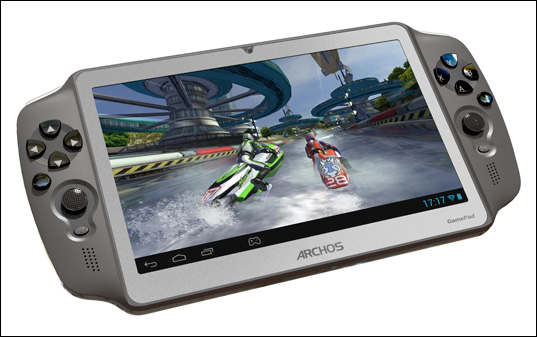 At only 10 mm (0.3 inch) thin and with a weight of 330g (0.7 lbs), the ARCHOS GamePad is the perfect on-the-go gaming console. Thanks to the revolutionary ARCHOS mapping tool, even back catalog games that weren’t made for physical controls can work with the physical controls of the ARCHOS GamePad; ‘map’ any on-screen virtual control to the physical controls of the GamePad for hundreds of games within the tool or use its drag-and-drop interface to ‘map’ any game in seconds. The mapping profile for each game is automatically saved so whenever that game is launched in the future, the ARCHOS game-mapping tool will automatically load the corresponding mapping profile. Smooth Gaming Experience with 3D Graphics: Quad-core Mali 400 MP GPU paired with a 1.6GHz Dual-core CPU. Memory: 8GB of internal memory with microSD slot or up to 64GB of additional space. Mini-HDMI: Use the mini-HDMI port to connect the GamePad to your TV for a big screen viewing experience. Google PlayTM: 700,000 apps and games and includes DRM support for downloading books, magazines, music, movies and TV shows. ARCHOS Media Center applications: Tailor-made apps for video and music that include metadata scraping, auto-subtitles and of course, the best format and codec support around including 1080p video decoding. 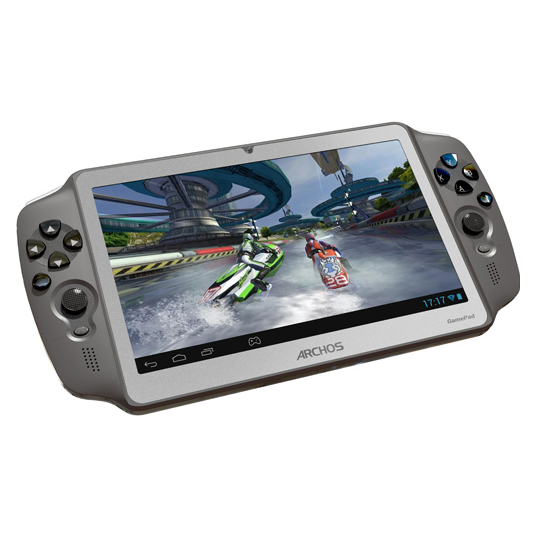 For more information about GamePad visit www.ARCHOS.com. Developers interested in getting their current and upcoming games mapped for the ARCHOS GamePad can contact [email protected].